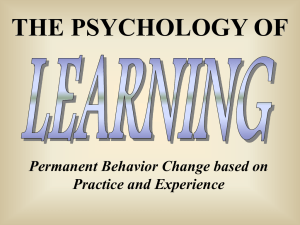 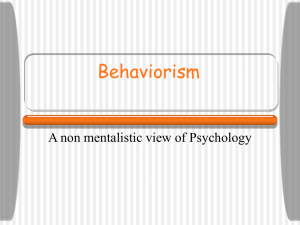 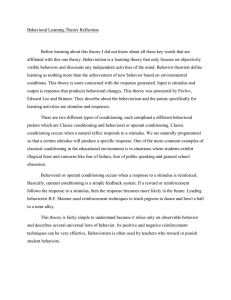 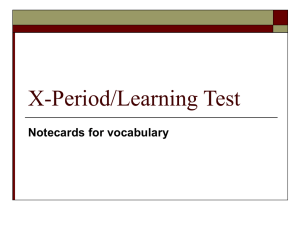 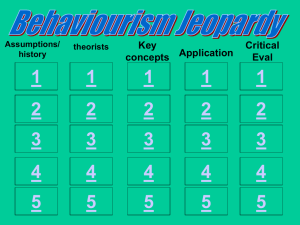 Behaviorism (or behaviourism) is an approach to psychology that focuses on an individual's behavior. 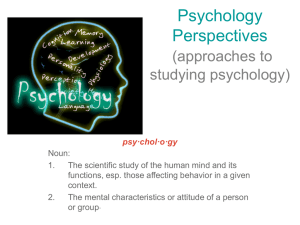 It combines elements of philosophy, methodology, and theory. 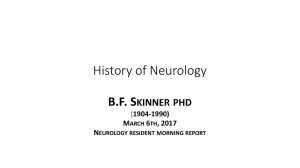 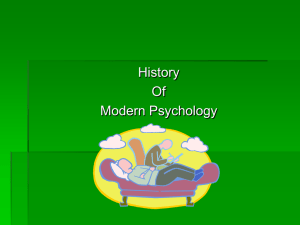 It emerged in the early twentieth century as a reaction to depth psychology and other more traditional forms of psychology, which often had difficulty making predictions that could be tested using rigorous experimental methods. 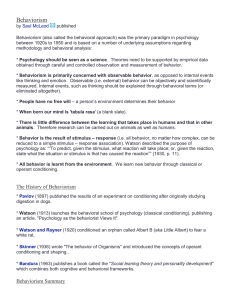 The primary tenet of methodological behaviorism, as expressed in the writings of John B. Watson and others, is that psychology should have only concerned itself with observable events. 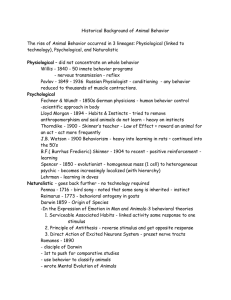 There has been a drastic shift in behaviorist philosophies throughout the 1940s and 1950s and again since the 1980s. 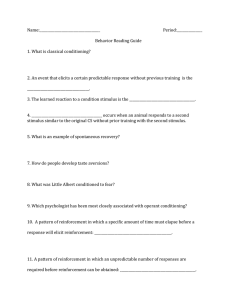 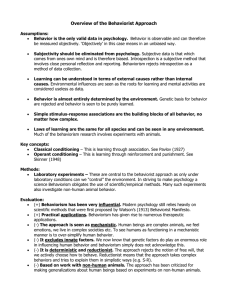 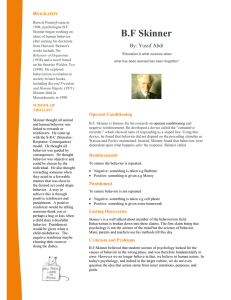 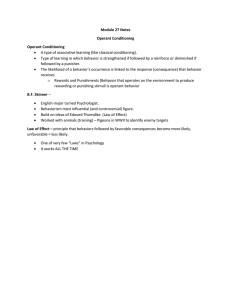 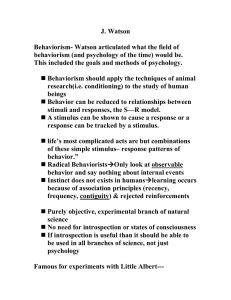 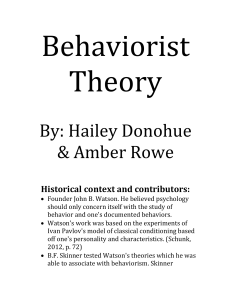 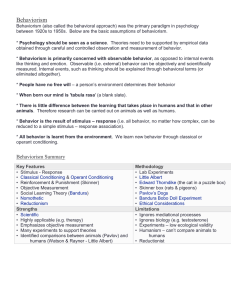 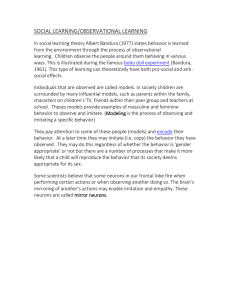 Radical behaviorism is the conceptual piece purposed by B. F. Skinner that acknowledges the presence of private events—including cognition and emotions—but does not actually prompt that behavior to take place.From early psychology in the 19th century, the behaviorist school of thought ran concurrently and shared commonalities with the psychoanalytic and Gestalt movements in psychology into the 20th century; but also differed from the mental philosophy of the Gestalt psychologists in critical ways. 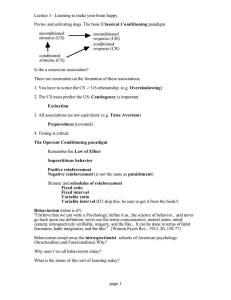 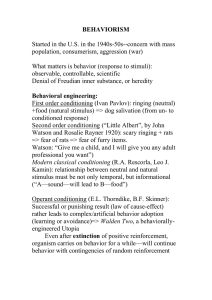 Its main influences were Ivan Pavlov, who investigated classical conditioning—which depends on stimulus procedures to establish reflexes and respondent behaviors; Edward Thorndike and John B. Watson who rejected introspective methods and sought to restrict psychology to observable behaviors; and B.F. Skinner, who conducted research on operant conditioning (which uses antecedents and consequences to change behavior) and emphasized observing private events (see Radical behaviorism).In the second half of the 20th century, behaviorism was largely eclipsed as a result of the cognitive revolution which is when cognitive-behavioral therapy—that has demonstrable utility in treating certain pathologies, such as simple phobias, PTSD, and addiction—evolved. 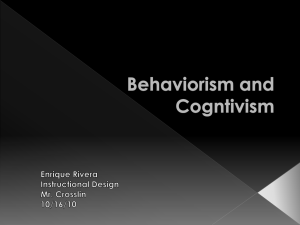 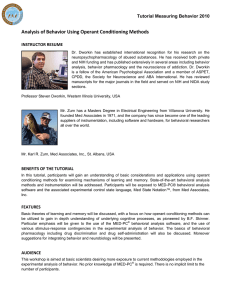 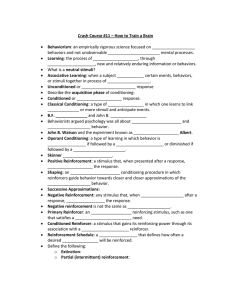 The application of behaviorism, known as applied behavior analysis, is employed for numerous circumstances, including organizational behavior management and fostering diet and fitness, to the treatment of mental disorders, such as autism and substance abuse. 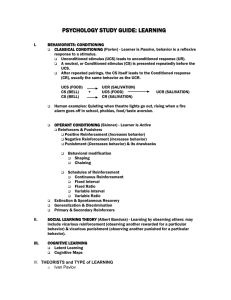 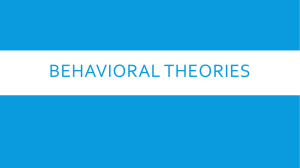 In addition, while behaviorism and cognitive schools of psychological thought may not agree theoretically, they have complemented each other in practical therapeutic applications, such as in clinical behavior analysis.